Taylor Shellfish Farms, Inc., headquartered in Washington State, is one of the largest US clam and oyster producers and maintains a nursery and hatchery at Hawaii Ocean, Science & Technology Park Administered by the National Energy Laboratory of Hawaii Authority (NELHA) where juvenile mollusks take a “winterless Hawaiian grow out vacation” during critical early growth periods. 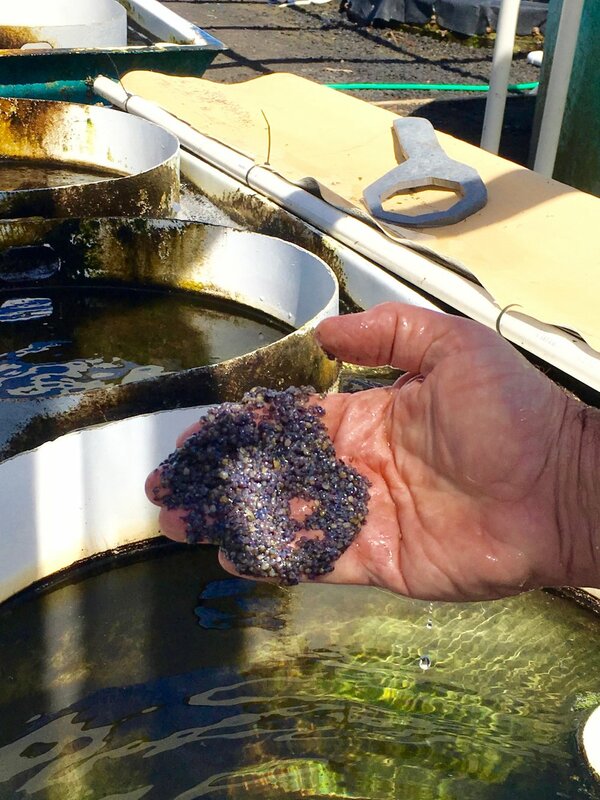 Hundreds of millions of juvenile Manila clams and juvenile Pacific oysters are exported back to Washington each year for final grow out in company-owned intertidal areas or sold as seed stock for other growers. Greg Jakob Taylor Shellfish Farms manager has incorporated the use of EM•1®, Effective Microorganisms® into their operation since March 2017. They first started using 8 gallons / month to help maintain the shrimp ponds which they grow in order to feed the oysters and clams with nutrient-rich water in their flow through system. They reduced their amount to 5 gallons / month. He believes Probiotics increases the health of juvenile oysters and clams. Their scientist formulated their probiotic at same time they used EM•1®, so he cannot say that only EM•1® helped to maintain their operation. They do have some up and down times with the health of the baby clams and oysters. We hope to fine-tune their applications even further with spraying the shrimp feed with EM•1® as a probiotic and have a regular dosing of EM•1® into their system every day. We found out there are also issues with the water backing up due to poor drainage which seems to be the common problem in many operations there of organic sludge build up in their drain sumps. 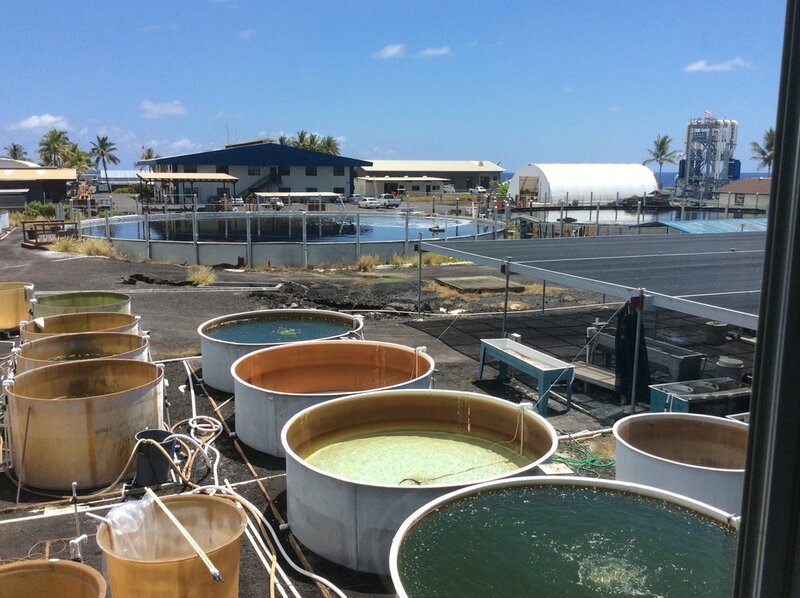 We suggested doing a separate direct treatment of EM into the sump area to help digest the sludge build up similar to the Kona Abalone Farm operations.